Want to know what goes on inside the Tour de France? You’re in luck. Our friends at the Global Cycling Network spent the day with the legendary Mavic Neutral Service on stage 10 of this year’s Grand Boucle. Starting in Mavic’s hometown of Annecy, Stage 10 took in the only gravel climb of this year’s race. From the outset, it was going to be a busy day for Mavic. Press play to see more. 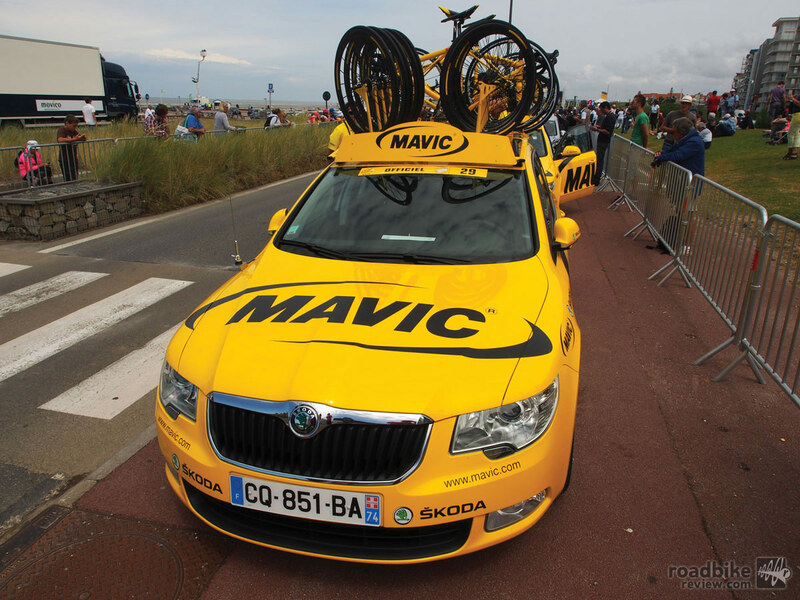 So, what do Mavic do at races like the Tour de France? As you might know, the riders receive service – in case of a puncture or other mechanical – from their team car. But, with two team cars per team in the race and the chance of many mechanicals or punctures on any given day, sometimes the teams can’t cover all of the issues that their riders face. This is where Mavic’s Neutral Service steps in. Their iconic yellow cars and motorbikes are there when the pro peloton needs them the most. Whether it’s a wheel change, a loose saddle or a full bike, Mavic have the peloton covered. Each car carries wheels to suit any of the bikes in the race; a task which has doubtless become more complex with the advent of disc brakes, and, they have bikes, complete with dropper seatposts for the riders, too. Each Mavic car carries a range of bikes with all the clipless pedals that the riders might be using, be it Speedplay, Shimano or Look.